Started in 1985, this gardening project is designed to connect adults and children through exploration of life within a garden. 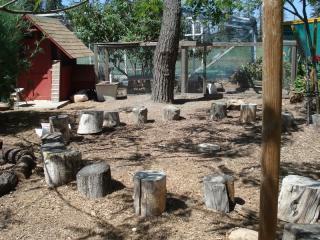 It uses the outdoor garden classroom on the Santa Clara Adult Education campus and offers many plants and animals for young children to discover. Volunteers maintain spaces in the garden for children to enjoy. They find creative ways to share their love of gardening with children. 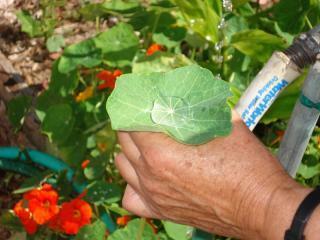 While doing so, they learn to see the garden through the eyes of the children themselves. The children are mesmerized by the incredible exploratory journey through the garden. Reconnect children with nature through exploring the wonders of the garden. Help children make the connection that food comes from the garden. 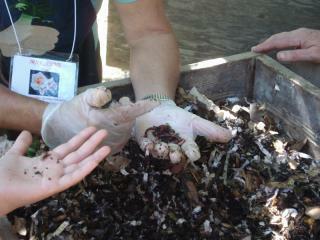 Provide hands-on experience of the life cycles (plant, insect, soil) within it. Project volunteers come from the UC Master Gardeners and the community at large. Teachers sign up their first and second-grade classes for garden field trips. Children become more fully engaged in the nature around them and benefit by learning to make and enjoy healthier food choices. Adult chaperones are offered information on starting a garden and the resources available to them through the UC Master Gardeners. Volunteers enjoy the opportunity to share something they love with the next generation. During the garden tour, children have the opportunity to plant seeds, pick and taste seasonal fruits, vegetables, herbs, and flowers, drink water out of a leaf, observe insects, hold worms, feed chickens and enjoy being out in nature. About 600 children and 150 adults visit the garden each year through this program. 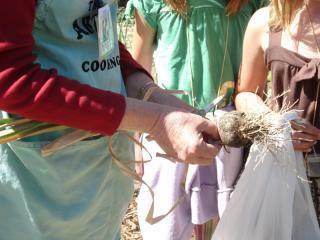 For those interested in scheduling a field trip to the garden, send email to santaclaraadulted@scusd.net. Tours are on Fridays, fall, and spring. There are two time slots: 9:25 a.m. and 10:40 a.m., only one class (22–28 students) per time slot. Recommended age group: Second Grade. If you are interested in volunteering, visit the Santa Clara Adult Education website and look for information in the latest class schedule. The garden is at 1840 Benton Street, Santa Clara. The project meets on Friday mornings during the spring and fall months.